Canon approached us for a marketing piece to help position the Canon home office line for small business and enterprise usage. We proposed and executed the idea of an interactive map that allowed users to explore different areas within a stylized office. Clicking on each department would provide use case messaging along with a grid of suggested products. 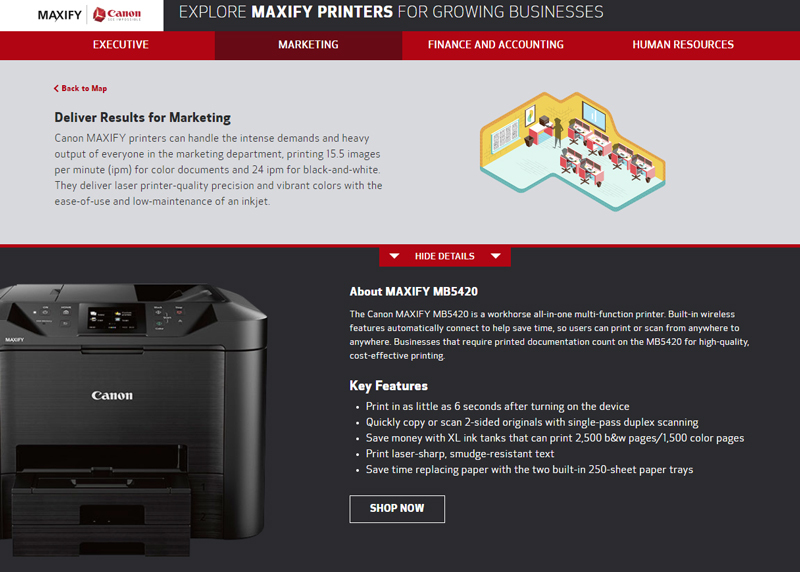 Users could click on specific products for more detailed product information and a CTA to the Canon site. I provided UX and UI design while working with a writer and illustrator.